Kathleen Vincenz, one of the first people to sign up for #CleanMovieMonth, published this article on her website as part of #AMonthWithoutTheCode. The original article, which was published on August 1, can be seen here. Thank you for participating, Kathleen! After July’s #CleanMovieMonth, I binged-watched three Pre-Code films. Oh, the Poverty! Death! Adultery! Even More Death! A Code movie might be safer and better, but oh, what you’d miss. 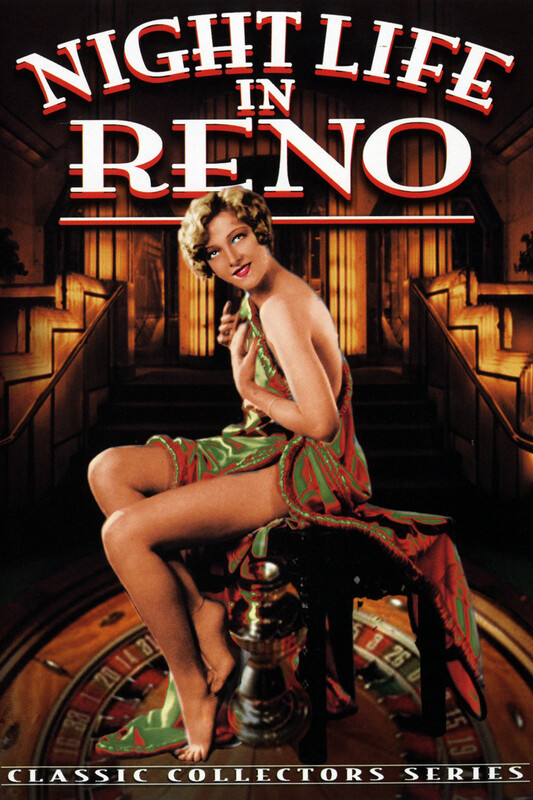 In the first movie binge, Night Life in Reno, even the tiniest bit of adultery gets you shot. First, the avenging wife goes after the adulterer and then the adulterie! After watching this, I wouldn’t go to Reno for your divorce if I were you. BTW, this movie poster has nothing to do with the movie–which is very Pre-Code to titillate even if the movie doesn’t. Then, I watched Blonde Crazy with Joan Blondell and Jimmy Cagney as a mild Bonnie and Clyde duo, and poor Jimmy gets it with a Tommy sub-machine gun! On a crowded New York street, no less. Yes, in Pre-Code, cops don’t even care about grandmas walking down the street. As I watched, I shouted, “Oh, come on. Really? A Tommy gun for a safecracker?” Yes, that’s what you get in Pre-Code. Finally, I watched Safe in Hell, where it’s anything but. The star’s not only led into prostitution but she kills a man–twice. Yes, the same man, both times to save her honor. As sentimental as this movie was, it was my favorite. I cried as they led the star to the gallows with her white throat gleaming–she’d been in the tropics for months and her skin was still milky white and she never needed a haircut. Perhaps it is better in Hell. I have to admit, I love the grittiness of Pre-Code films–the desperation of the people. No one lives a safe life of binge-watching movies, reading Facebook, and waking to a day at a secure job. No, in Pre-Code films, all depends on the characters’ wits and morality. I too dream of surviving in a Pre-Code world, walking to the gallows with my milky throat, my honor secure.